AUSTIN, TEXAS | March 8, 2017 – Vimeo, home to the world’s most imaginative video creators and hundreds of millions of viewers, today introduced support for 360 video, setting a new benchmark for high-quality immersive storytelling. 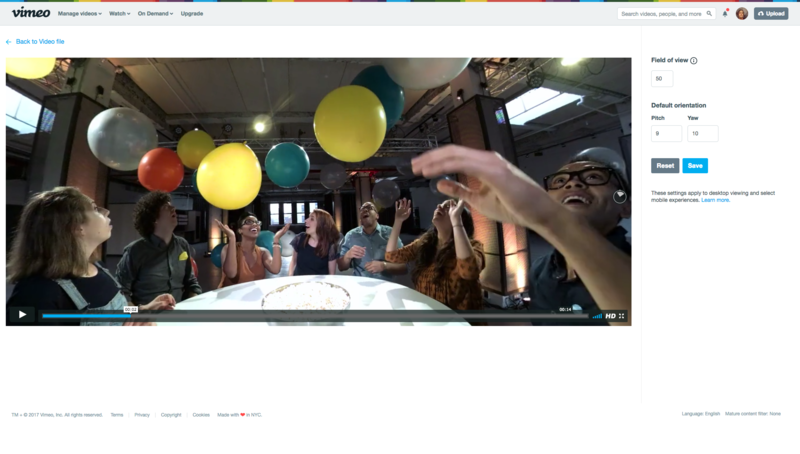 Vimeo’s take on 360 video is simple: provide a home for creators to learn new techniques, upload, share, and sell 360 videos, while viewers can discover cutting-edge 360 videos from the world’s best creators across multiple platforms. 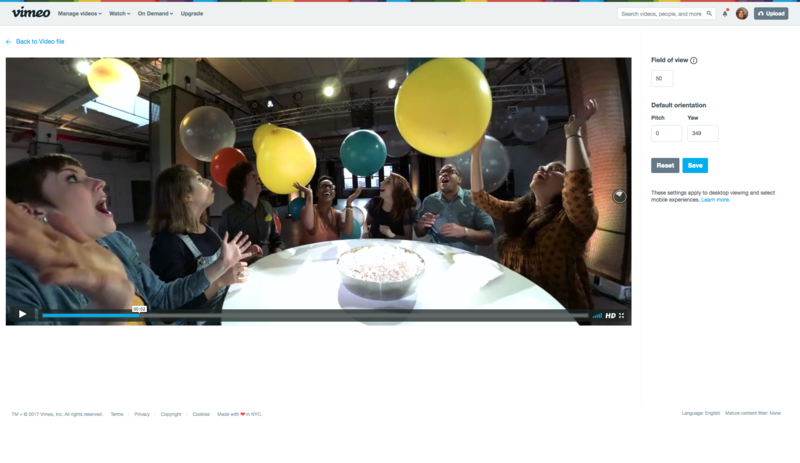 “Vimeo’s creator community is known for pioneering new video formats and pushing the boundaries of storytelling. 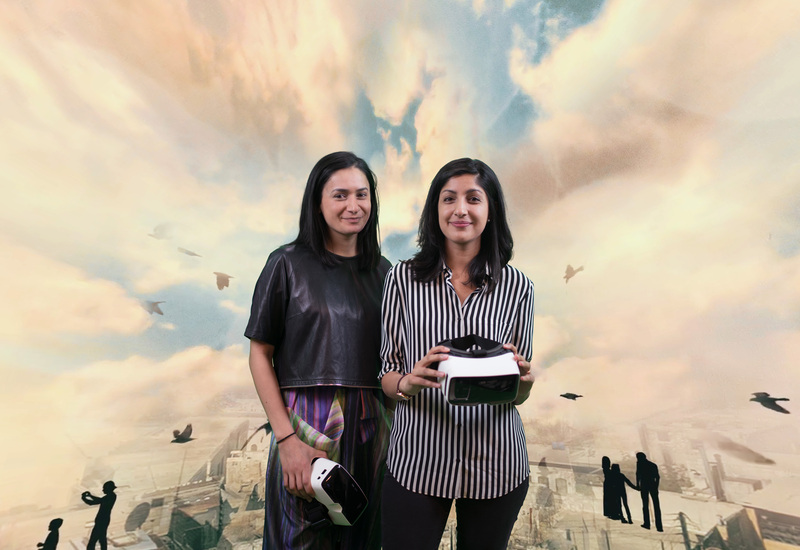 With this launch we hope to usher in a new wave of immersive content that sets the standard for cinematic quality and powerful narratives in a 360 environment. We believe Vimeo creators are the missing piece to taking 360 video from nascent to mainstream." “Vimeo has always been committed to preserving and delivering the highest quality video and our move into 360 expands our premium video technology solution to 360 filmmakers. Their stories now benefit from our advanced video compression and player customization tools, along with streaming and offline viewing in up to 4K." High Quality 360 Viewing - Creators can upload 360 videos in up to 8K for high-res videos and enjoy playback in the highest quality possible, including HD offline viewing in Vimeo’s mobile apps. 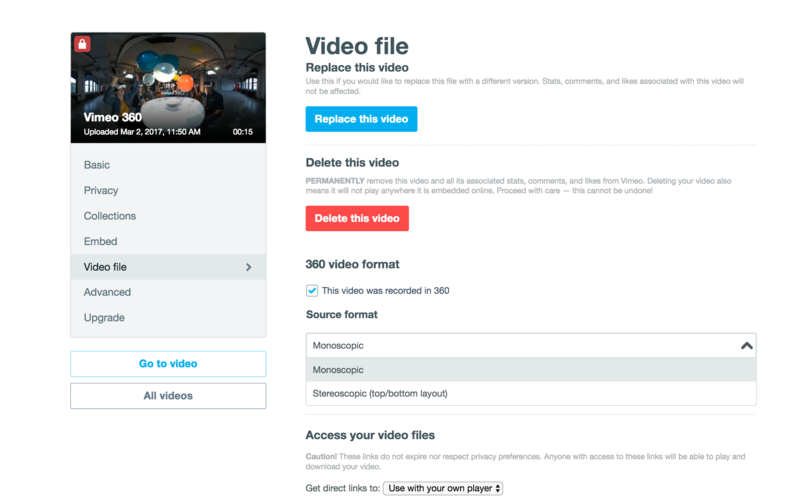 Powerful & Customizable Settings - For both monoscopic and stereoscopic video, Vimeo allows creators to add metadata, customize player embed settings, capture email leads and insert calls-to-action directly in the embedded player, and more. Creators can also set their field of view, choose the exact point in space where their video begins, and include a compass in the player to orient viewers and encourage interaction. 360 Video School - Vimeo offers dedicated educational resources to help creators learn the basics and access in-depth tutorials on 360 cameras, pre-production, shooting and editing. Open Marketplace to Sell 360 Videos - Vimeo provides 360 creators with the ability to sell their content direct to audiences worldwide through Vimeo On Demand. Available to Vimeo PRO and Business members, 360 creators can choose rent, buy or subscription options, set their price and distribution region, and take home 90% of the revenue after transaction costs. In keeping with Vimeo’s goal to serve as the new home for immersive storytelling, Vimeo 360 video launches with a curated collection of 360 videos direct from its community of creators, including films from Staff Pick alumni Greg Barth and Jason Drakeford, along with films from brands and organizations like the American Museum of Natural History and charity: water. The channel will be continuously updated celebrating the work of Vimeo creators and brands pushing new boundaries in visual storytelling. At launch viewers can watch 360 video in Vimeo mobile apps, including iOS and Android powered devices, that can be used with compatible VR headsets: Zeiss VR One, Samsung Gear VR and Google Daydream, with support for Oculus Rift and HTC Vive coming soon. 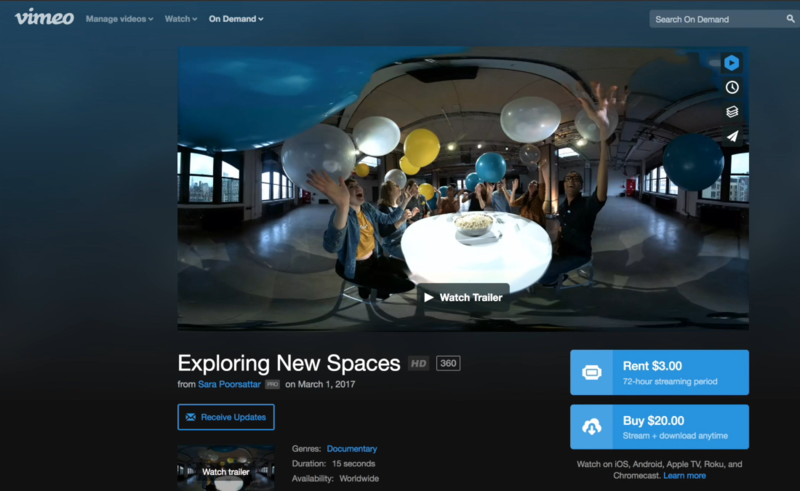 Vimeo’s 360 videos are also downloadable in HD, enabling viewers to watch anytime, anywhere. Vimeo will introduce its new 360 experience at key festivals and events throughout the year in partnership with Zeiss VR One, kicking off with the South by Southwest (SXSW) Festival in Austin, Texas on Sunday, March 12, 2017. For more information on Vimeo 360, visit: vimeo.com/360.